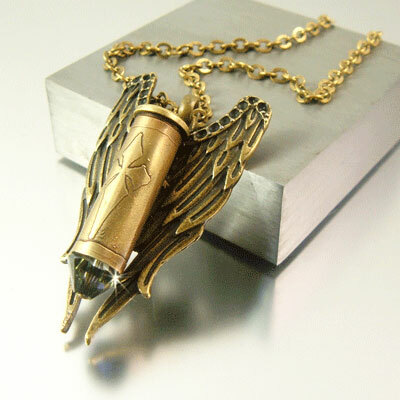 The "Archangel" angel wing bullet necklace collection is stylish, breathtaking, very unique and beautifully designed. 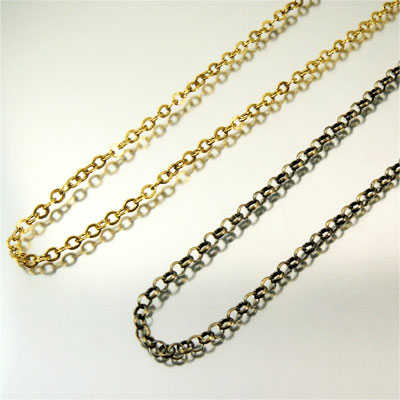 These are originals created by me, Julie Teeples and cannot be found elsewhere. 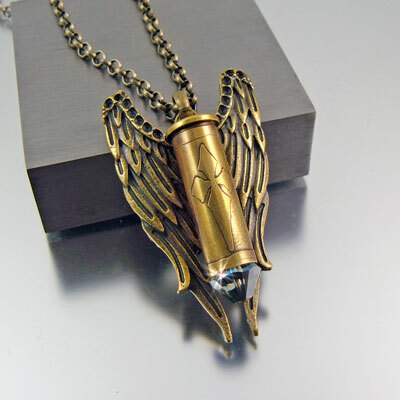 Each caliber of bullet casing has its own name; this .38 SPL bullet shell is called Gabriel �...who is the strength of God�. 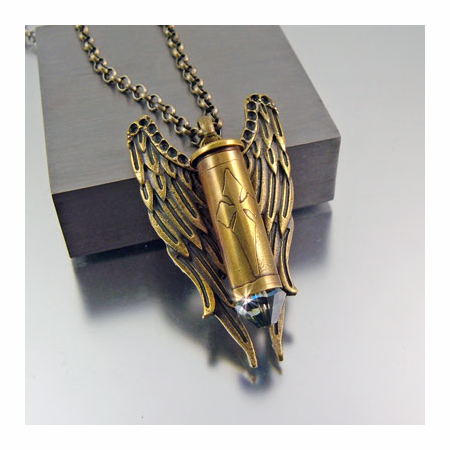 The Archangel line of bullet necklaces with their brass angel wings are stunning and make a wonderful and unique, one-of-a-kind gift for anyone who may need a little protection from the angels amongst us. 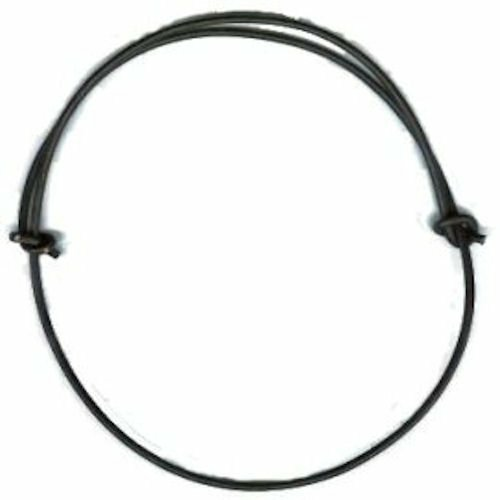 Comes with your choice of a 20" 4mm antique brass rolo chain, a 20" large link GP antique chain, or for a casual look a black leather adjustable cord. 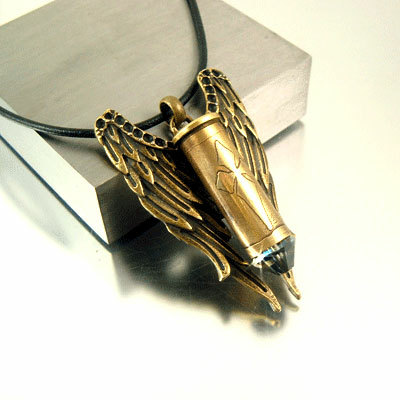 This is an original concept design made by artist Julie Teeples. The image, idea, and concept are the intellectual property of the artist who created it and is protected by copyright.